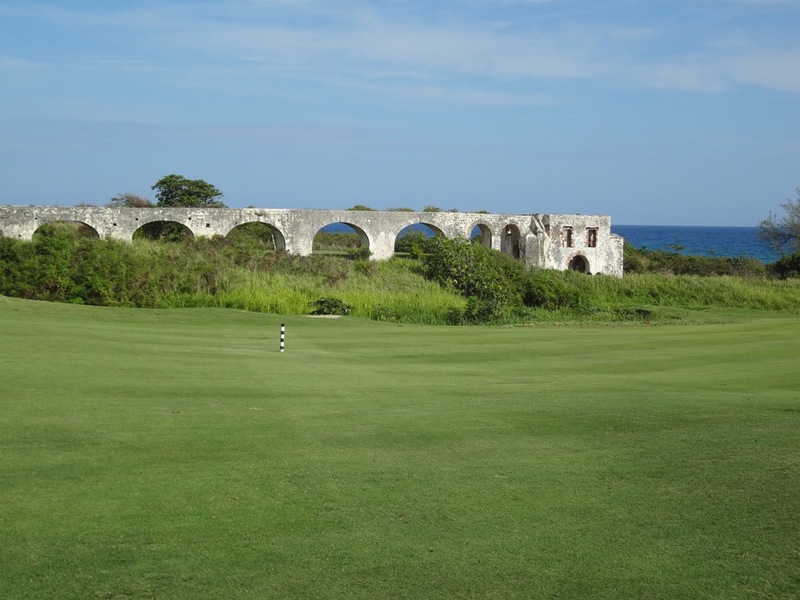 Just down the road from St. Andrews in Scotland is a modern classic called Kingsbarns, one that more often than not will be rated by groups to be their favorite at the Home of Golf. 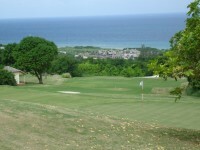 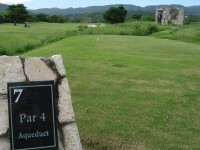 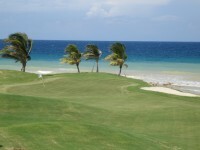 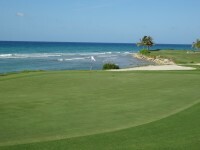 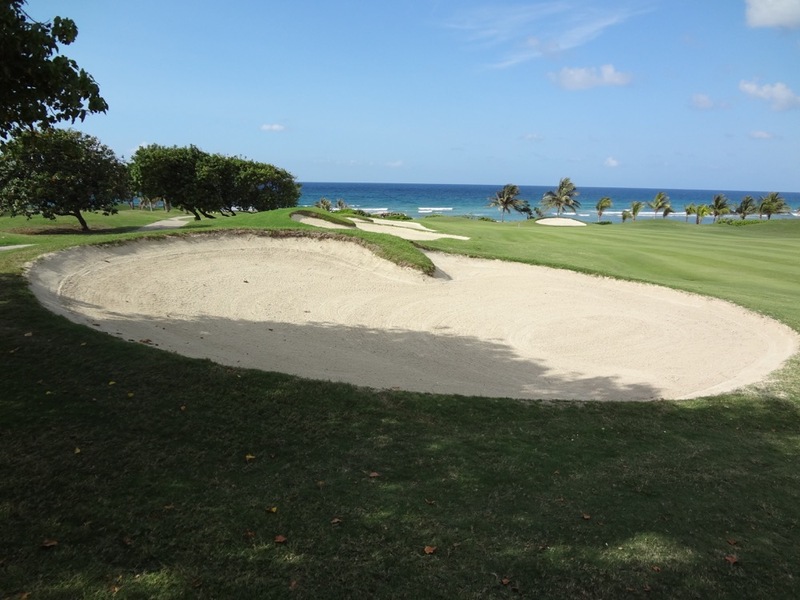 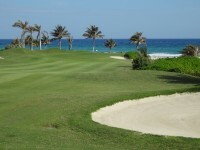 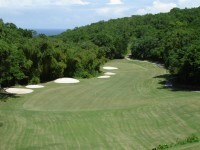 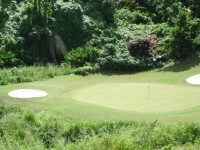 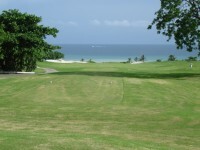 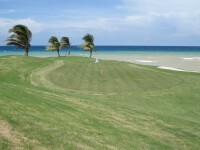 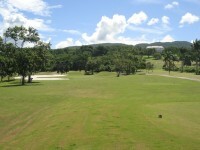 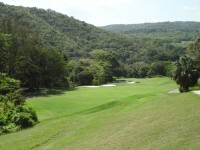 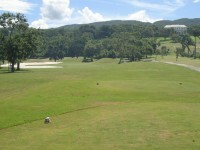 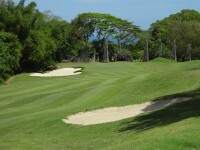 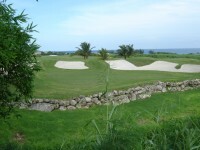 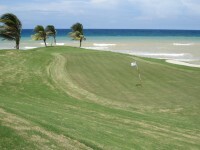 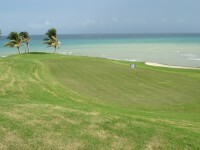 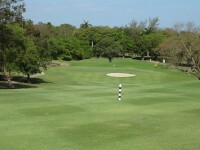 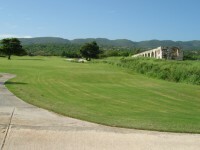 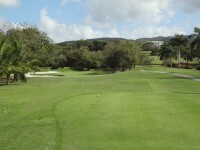 Here at Winter’s Home of Golf (TM) in Jamaica, Cinnamon Hill Golf Course likely fills that role! 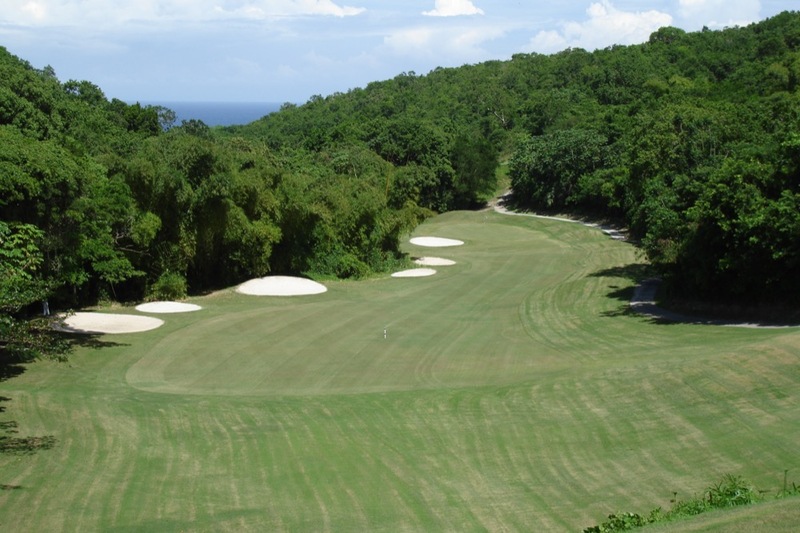 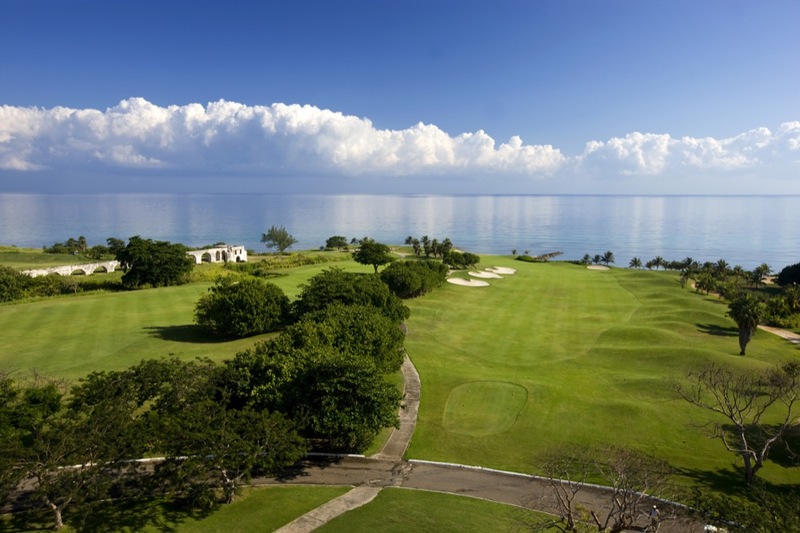 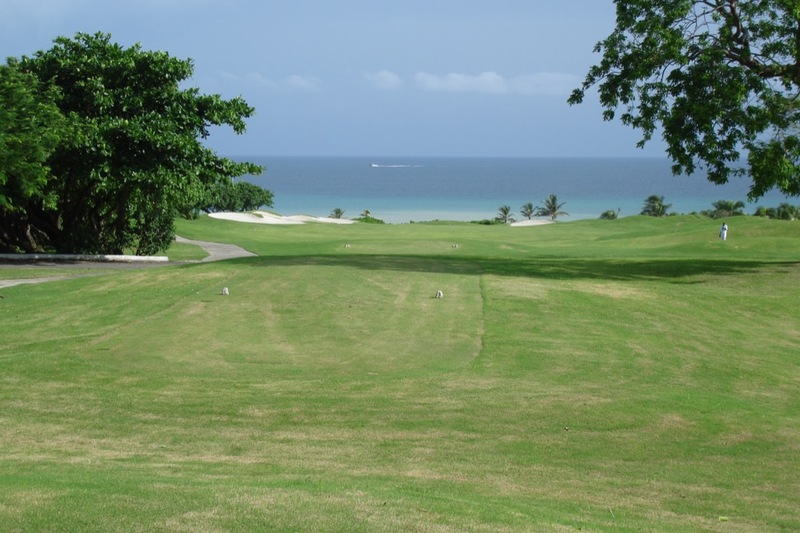 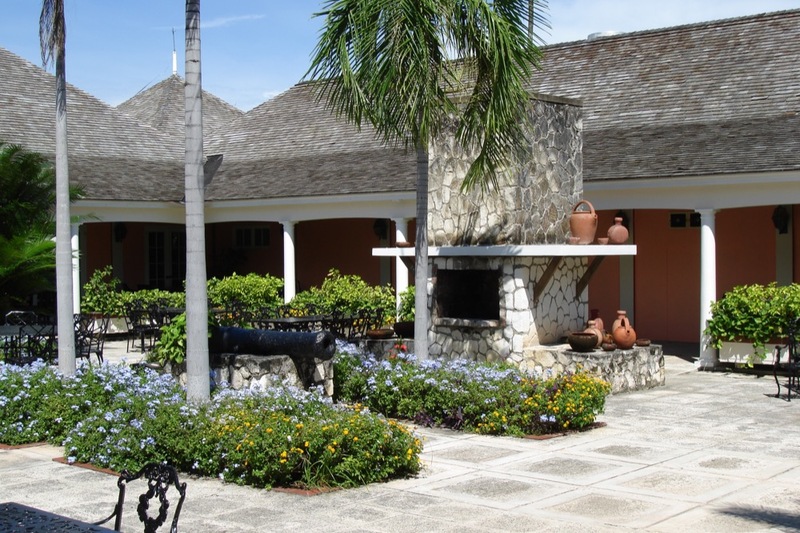 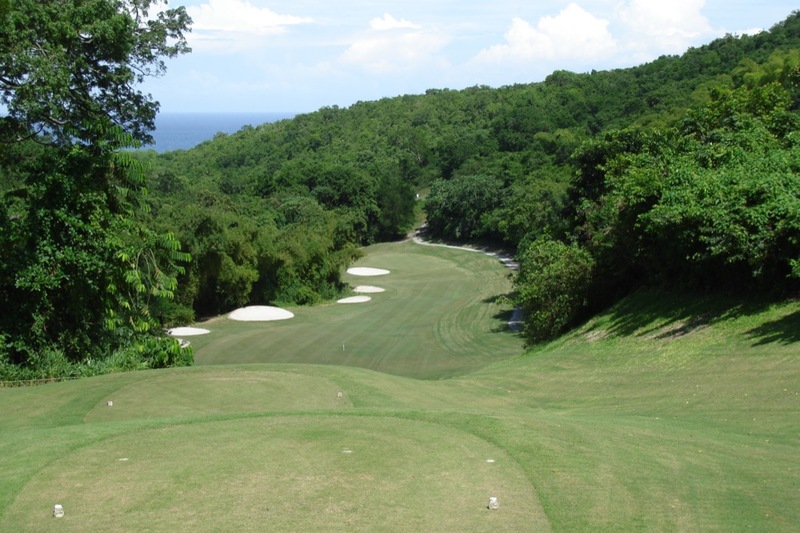 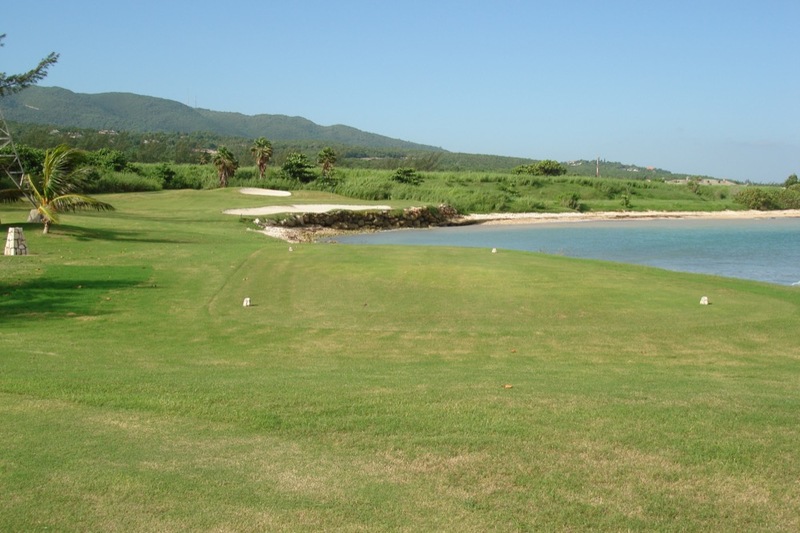 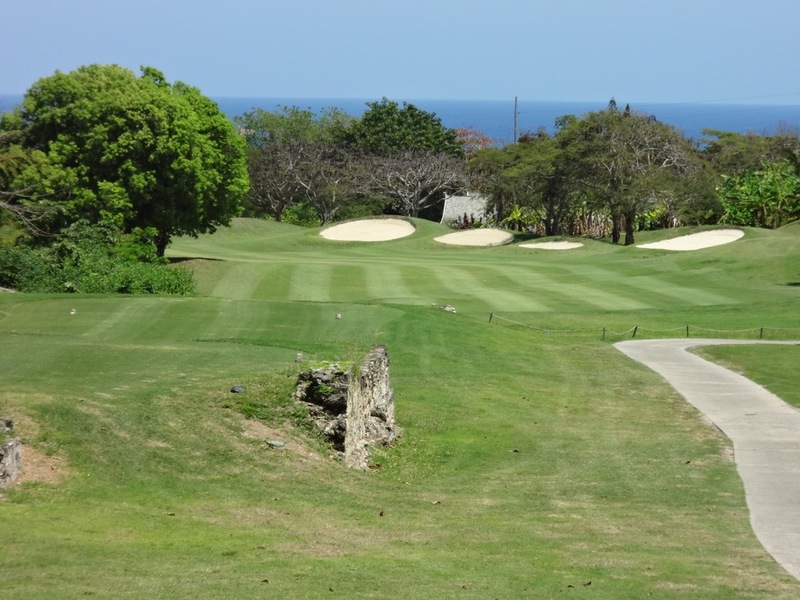 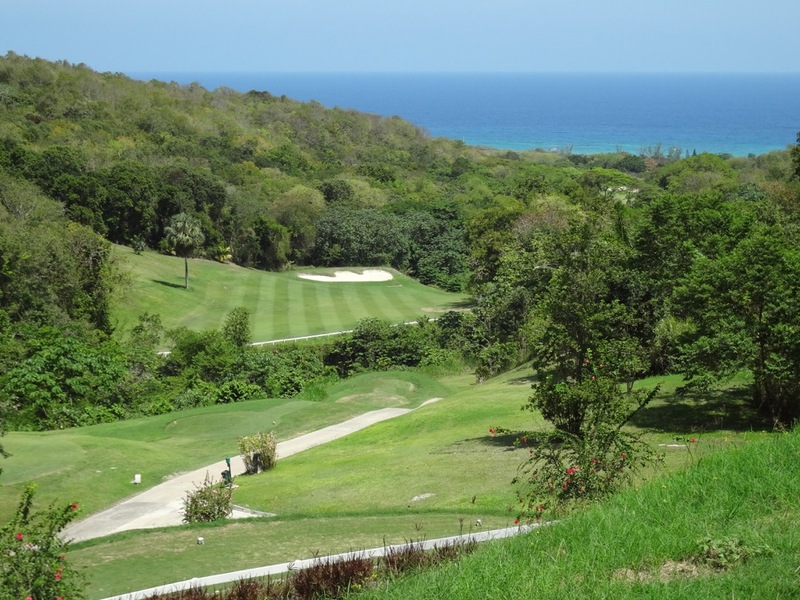 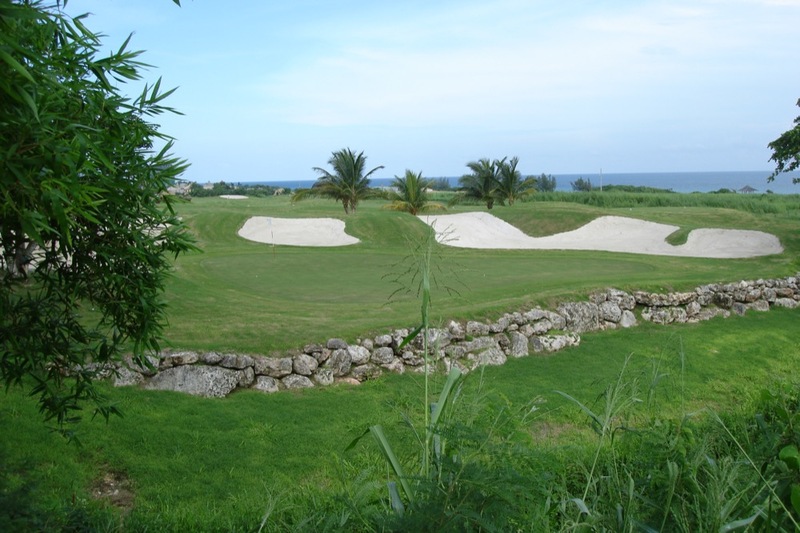 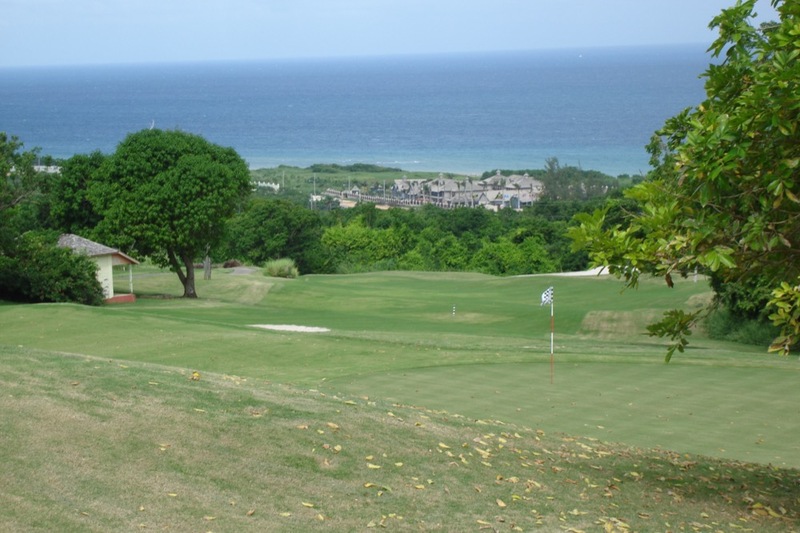 The second of the three courses that make up the Rose Hall Golf Association, just minutes from Jamaica’s Montego Bay Airport, Cinnamon Hill Golf Course combines a Jamaican history tour with one of the most enjoyable golf courses one is ever likely to experience. Few courses anywhere combine such wonders along the course with such wonderful golf holes along the way, as does Cinnamon Hill Golf Course. 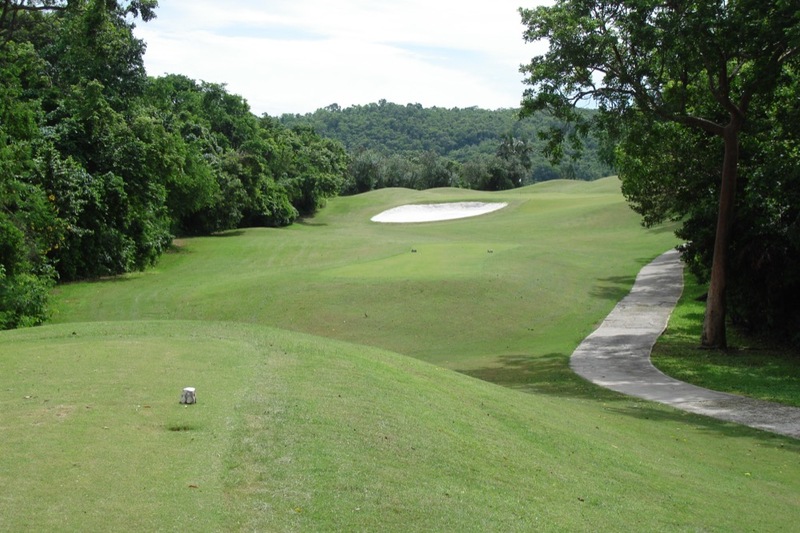 Cinnamon Hill Golf Course was originally designed in 1969 but brilliantly redesigned in 2001 (about the same time Kingsbarns opened!). 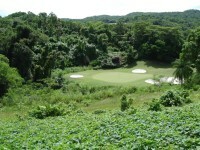 The “distractions” at Cinnamon Hill Golf Course begin at the 2nd. 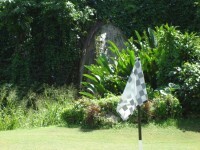 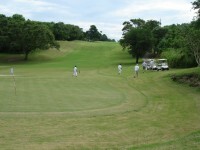 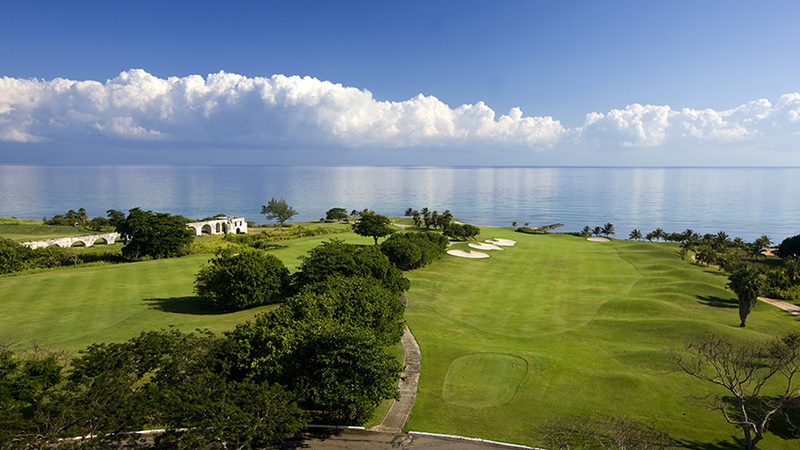 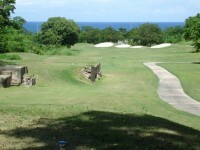 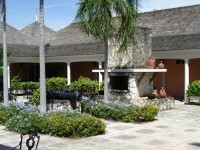 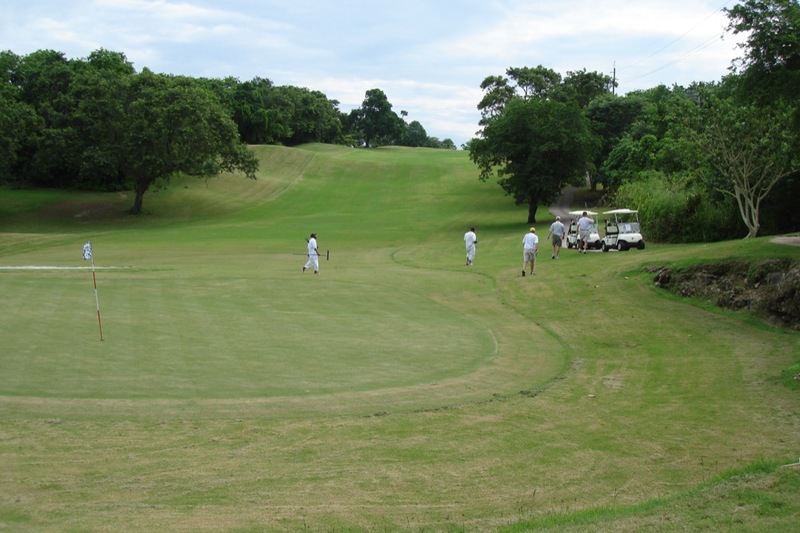 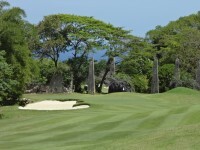 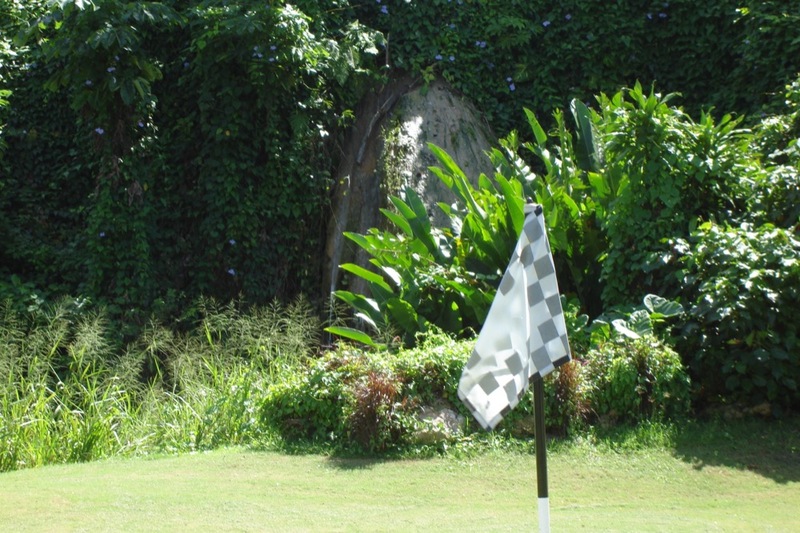 Here, golfers aim directly at the Rose Hall Great House, one of Jamaica’s iconic homes and a dramatic 18th-century Plantation home, where the scary and legendary Annie Palmer, the “White Witch of Jamaica”, wielded her Voodoo powers and many people to this day claim that she still “haunts” the mansion. 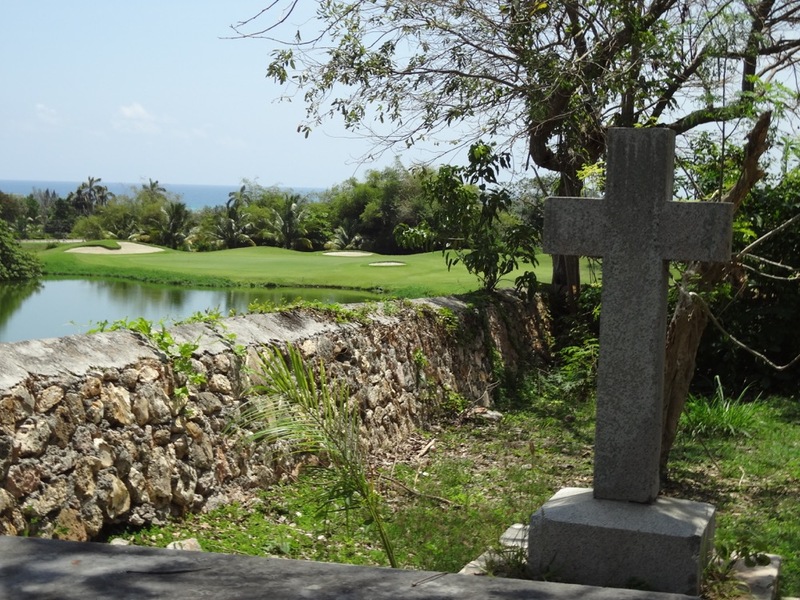 Should you find a way to “defeat” Annie on the 2nd at Cinnamon Hill Golf Course, more spiritual distractions await next to the tee on the par-3 4th. 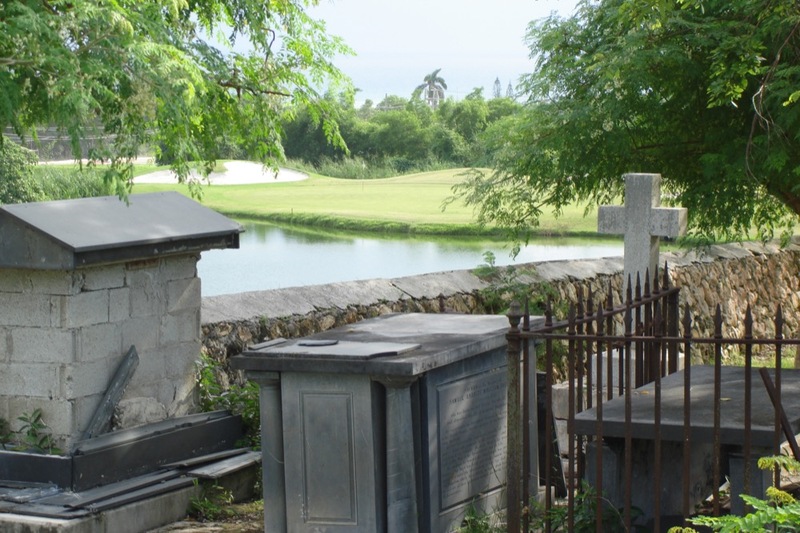 Here you will find a centuries-old cemetery containing the family graves of English poet Elizabeth Barrett Browning. 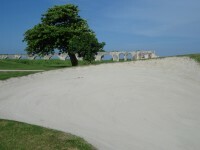 You could be forgiven if you’ve forgotten to play any golf up to this point in the Cinnamon Hill round! 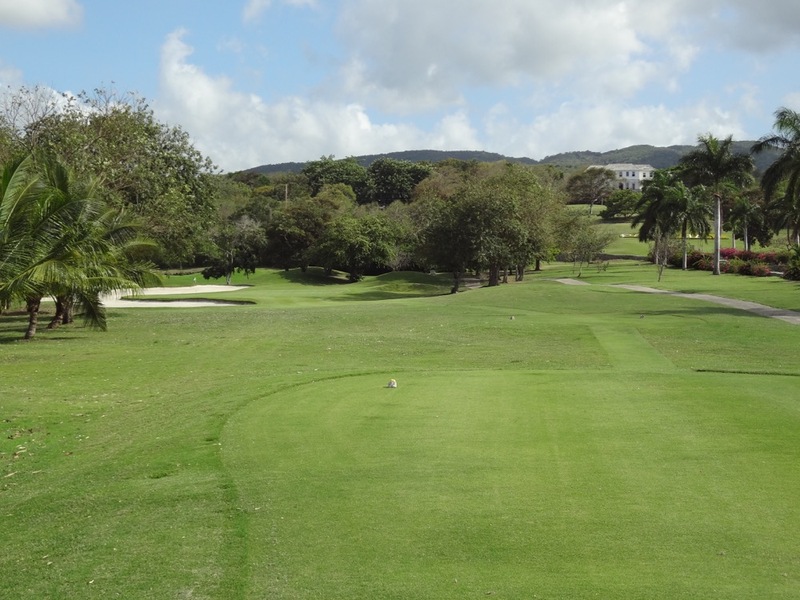 The first few holes at Cinnamon Hill Golf Course are no slouch but the game is on starting here at 5. 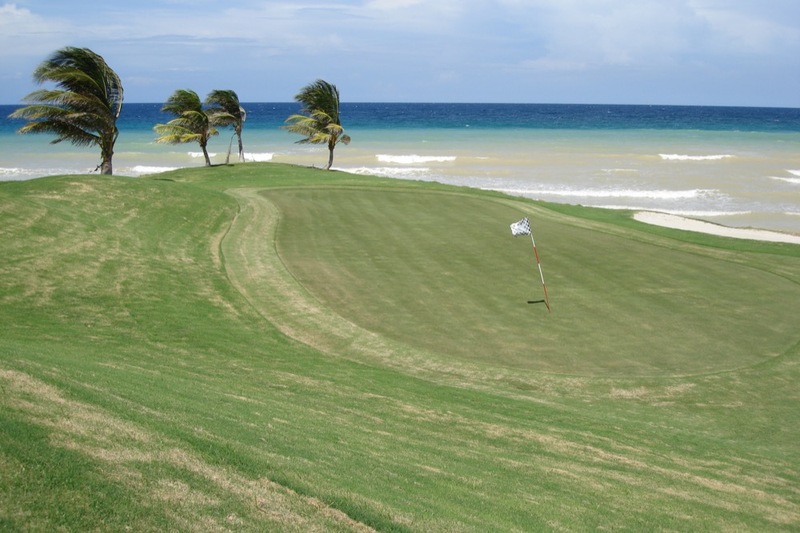 The green sits right on the beach where the winds whip at their strongest and the swaying palms will clue you to take an extra club for the approach! 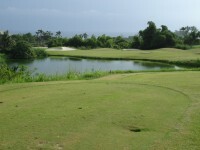 The hole is called “Majestic Blue” and there are few more beautiful green settings in the game of golf. 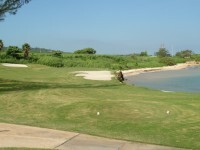 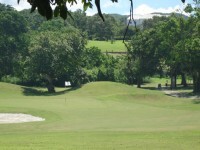 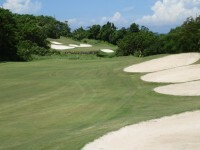 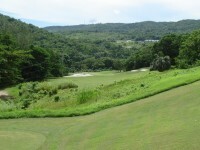 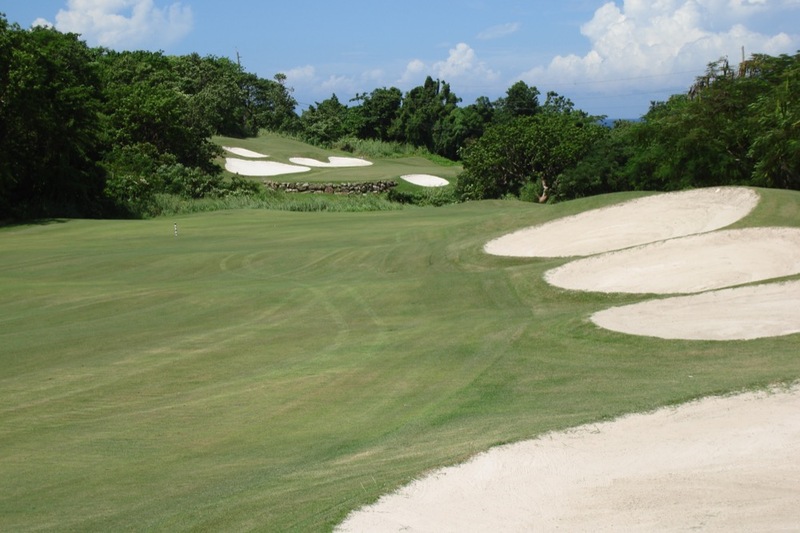 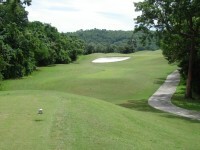 This is Cinnamon Hill Golf Course’s “signature hole”. 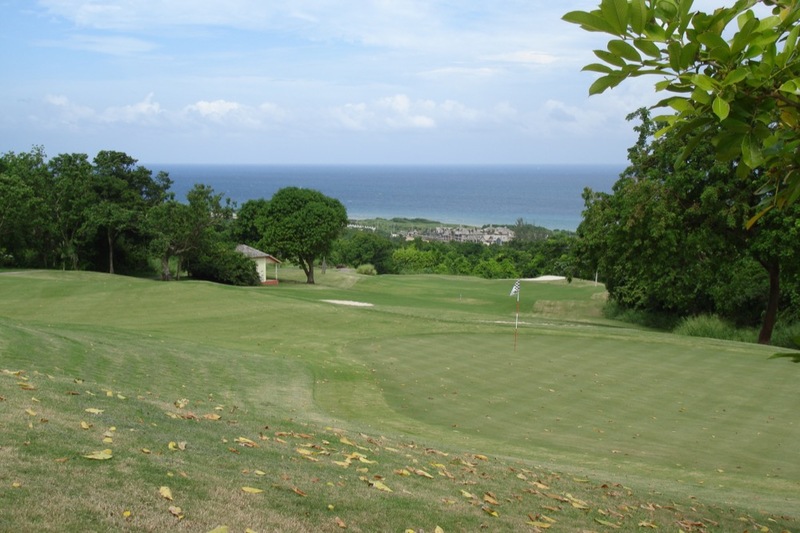 Much like Kingsbarns which offers the best ocean views at St. Andrews, Cinnamon Hill Golf Course delivers such here in Jamaica. 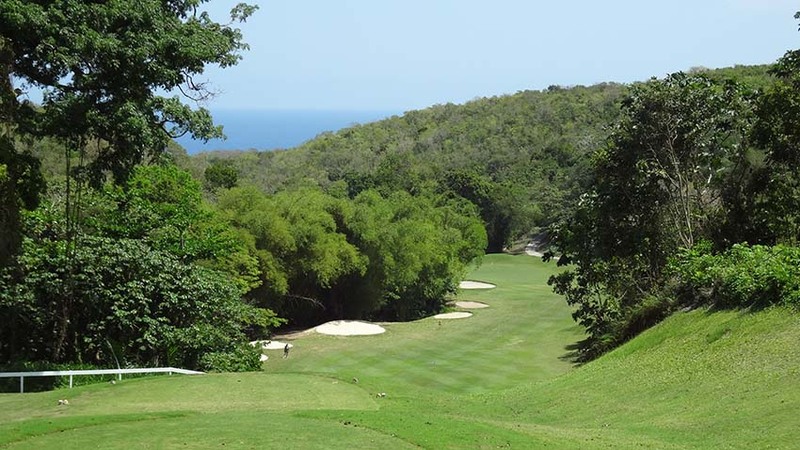 The oceanic theatrics continue on the par-3 6th, “Witches Reef”, rivaling the 4th at Tryall down the Jamaican coast for dramatics only with the Caribbean guarding the right rather than the left. 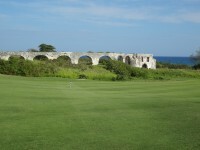 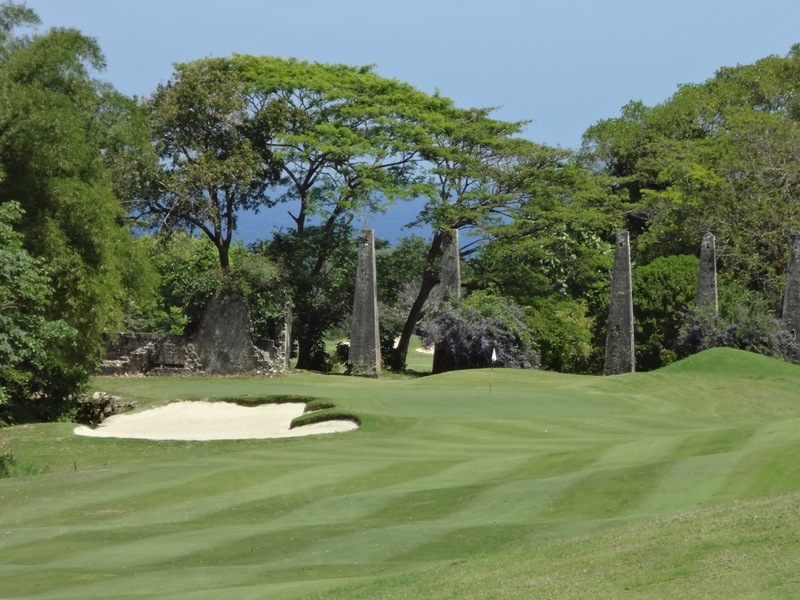 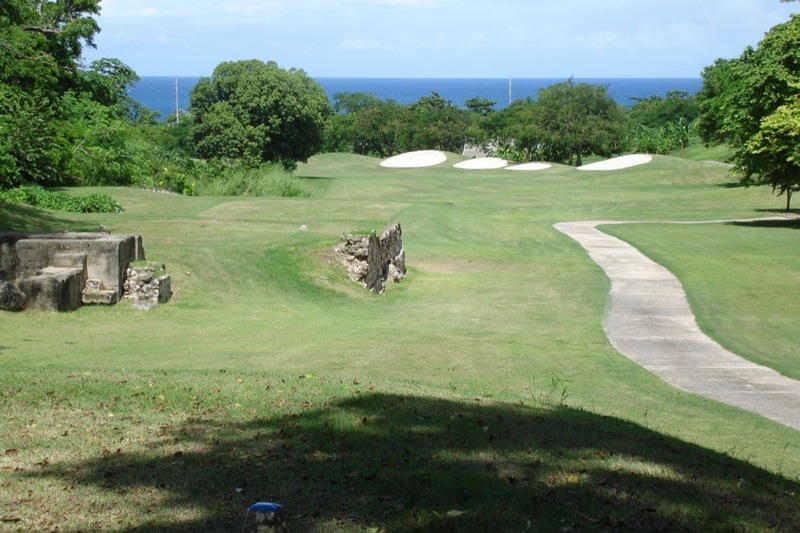 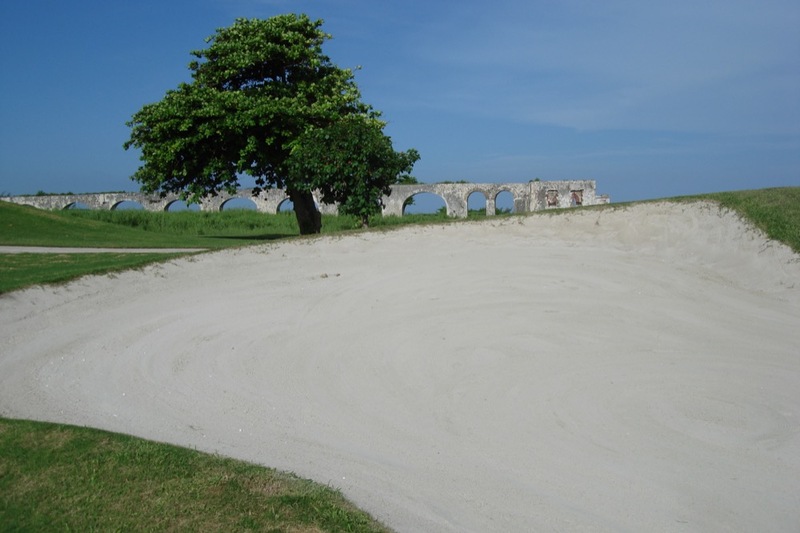 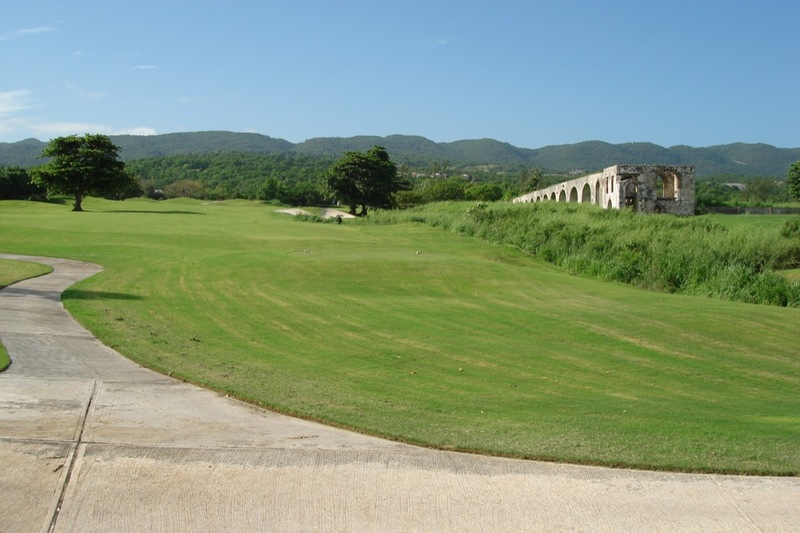 From here the Cinnamon Hill Golf Course journey turns back away from the Caribbean Sea and next up comes one of Jamaica’s trademark ancient aqueducts along the 7th. 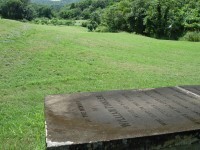 If you take a close look at the base you can spot the date this one was built, “1761”. 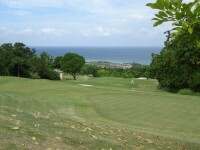 Soon we hit the back nine at Cinnamon Hill Golf Course and the journey heads up, most dramatically on the winding par 5 11th where, from the green, you can see the distant 5th green down by the sea and it looks miles away, and practically vertical. 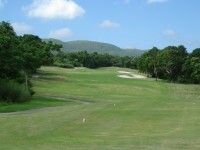 It is hard to imagine that you are still on the same golf course it seems so far away, yet it was only 6 holes back in the round at Cinnamon Hill course. 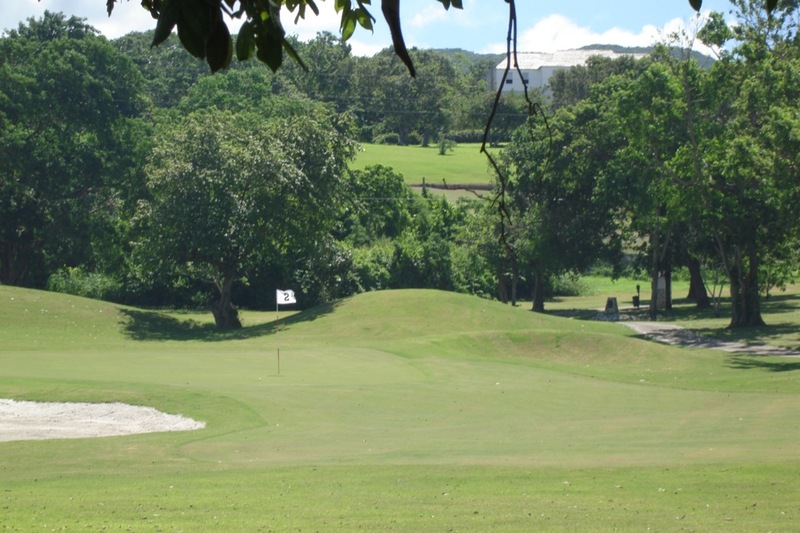 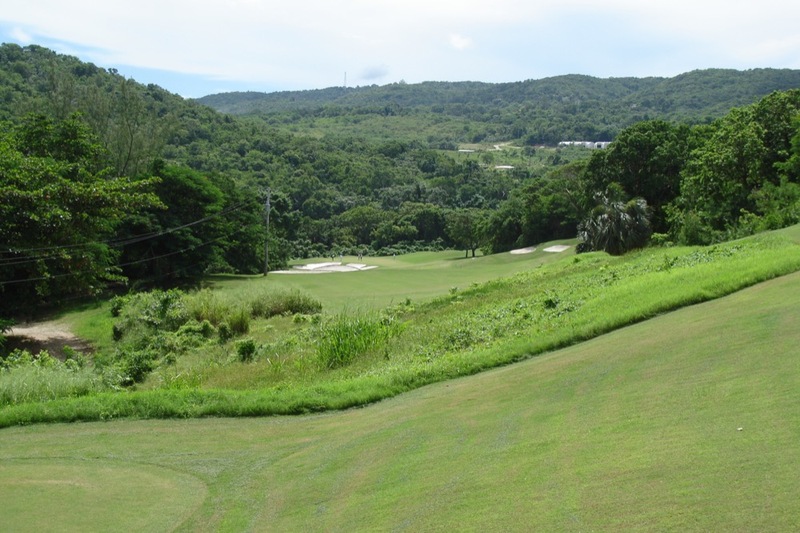 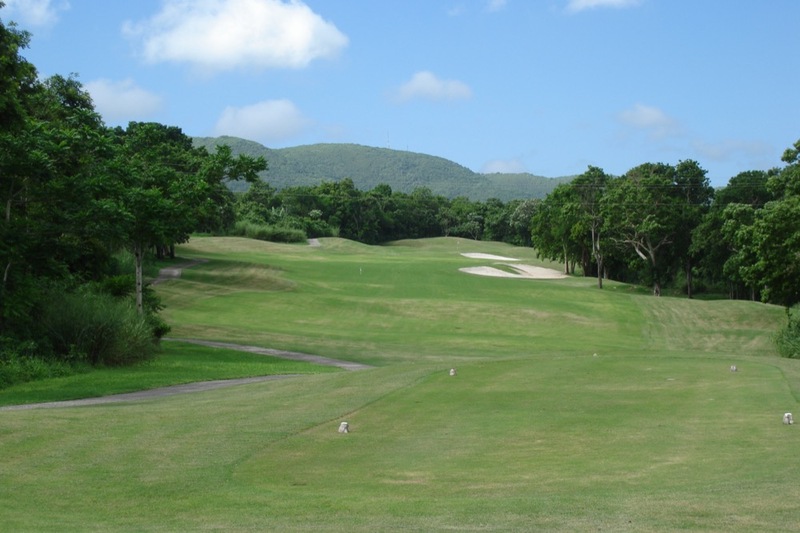 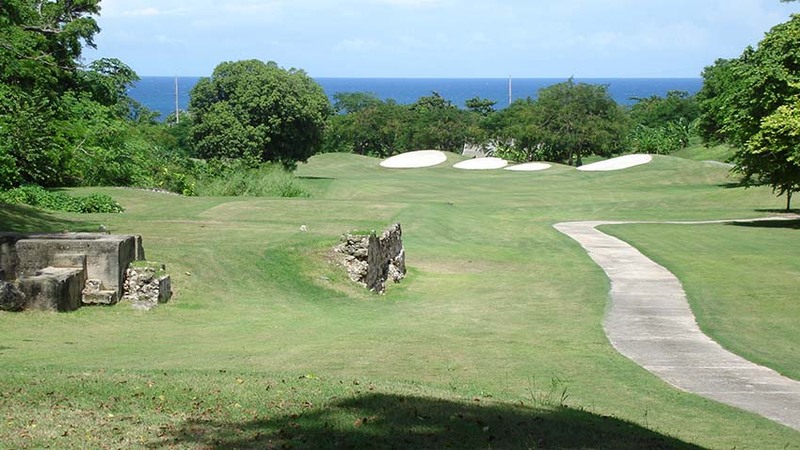 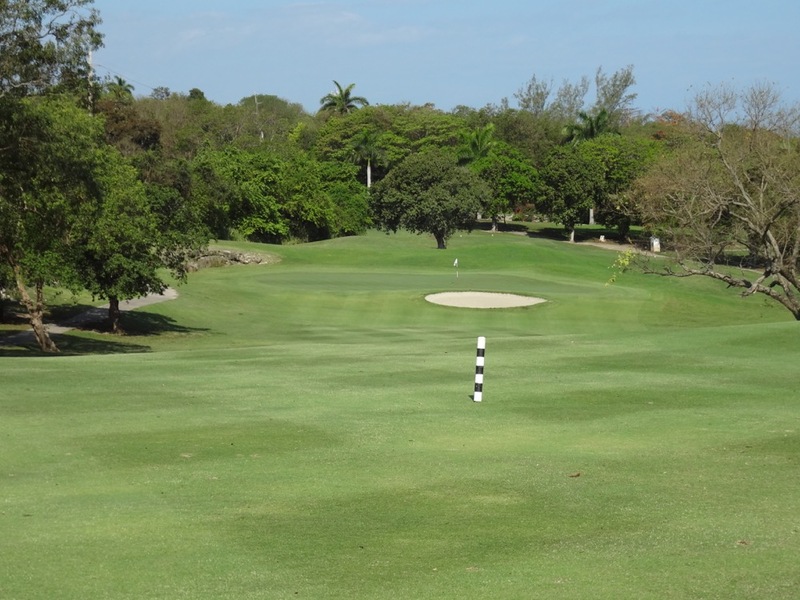 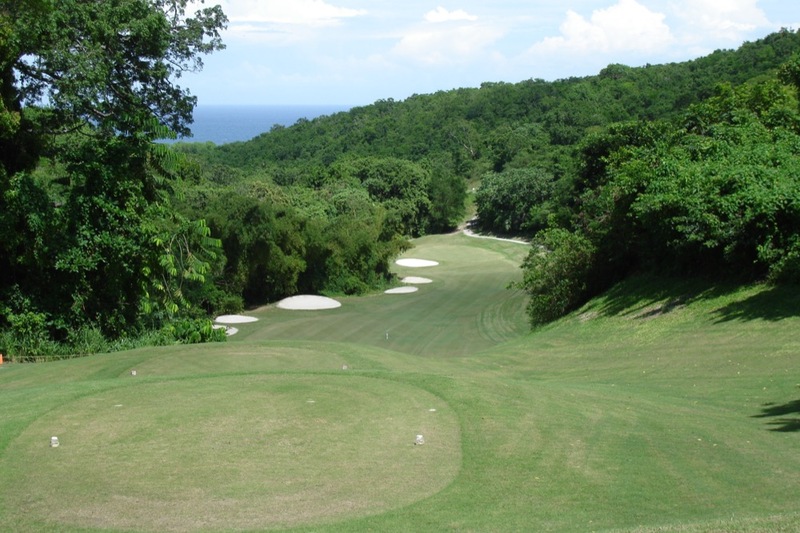 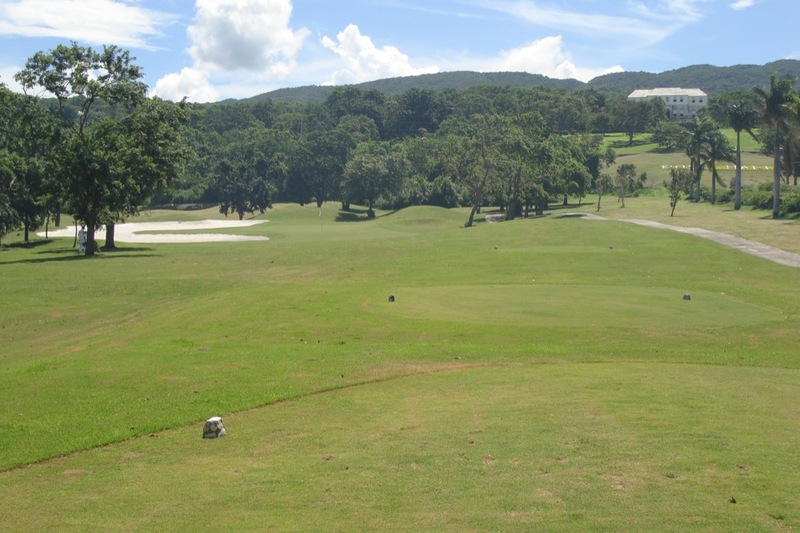 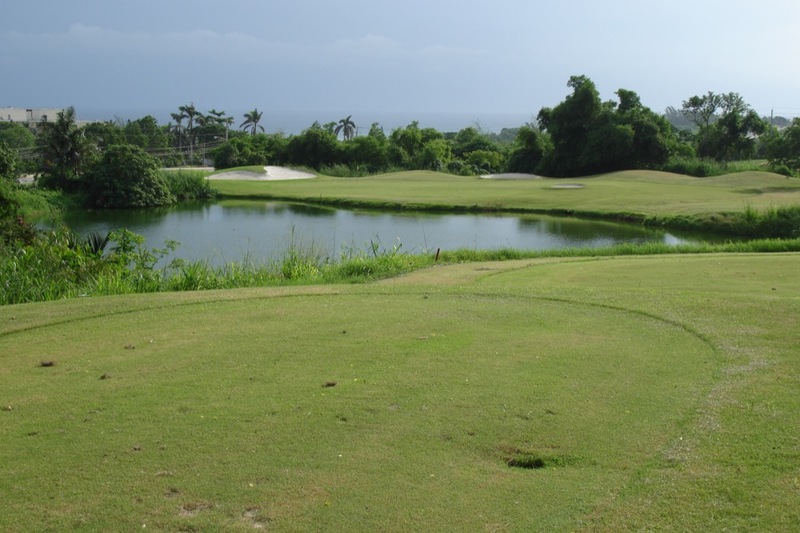 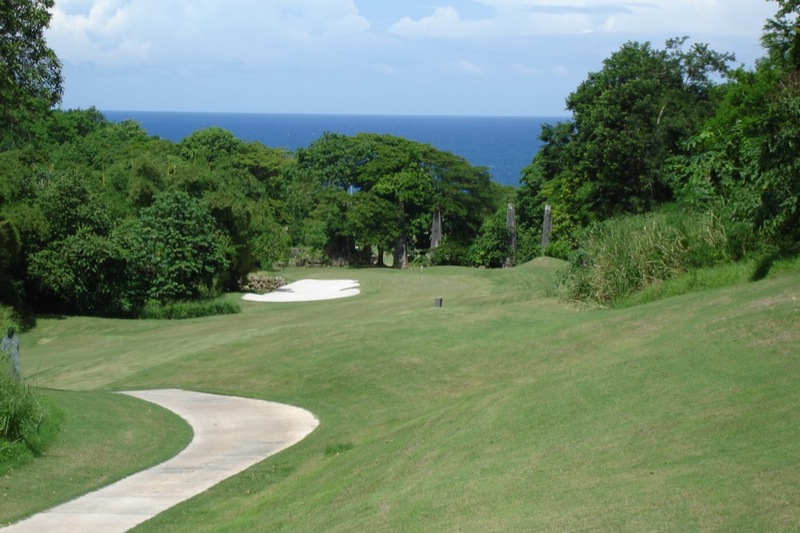 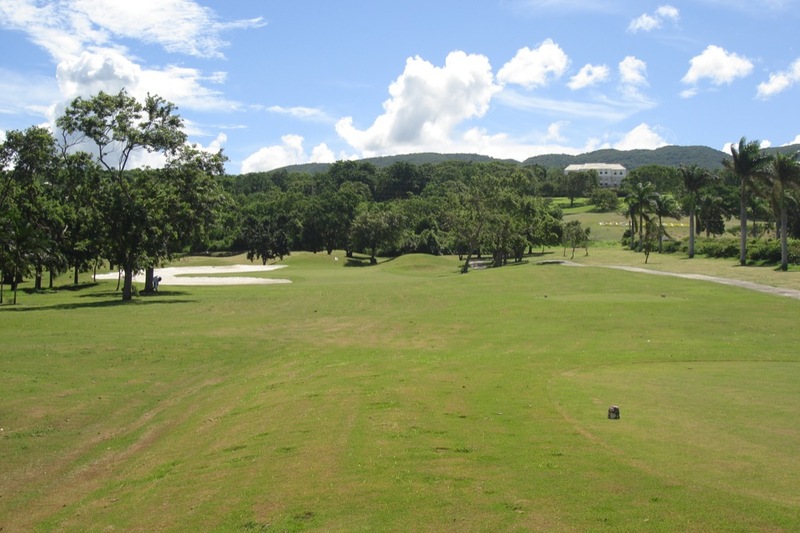 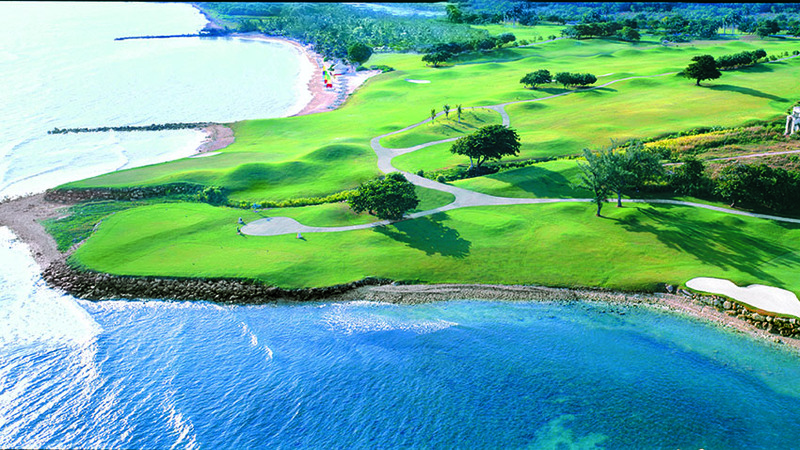 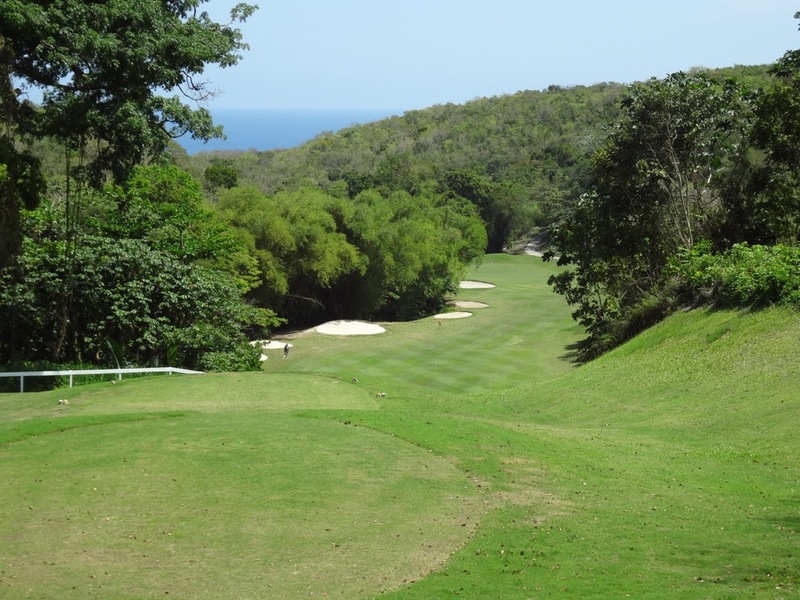 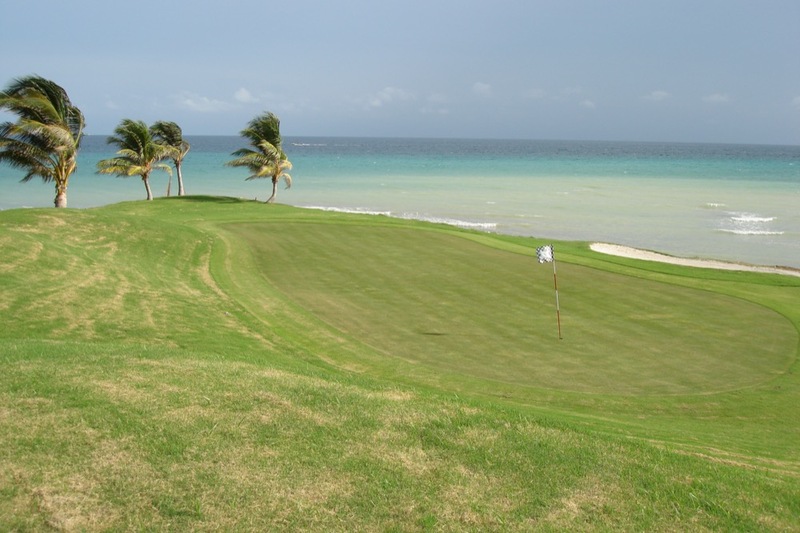 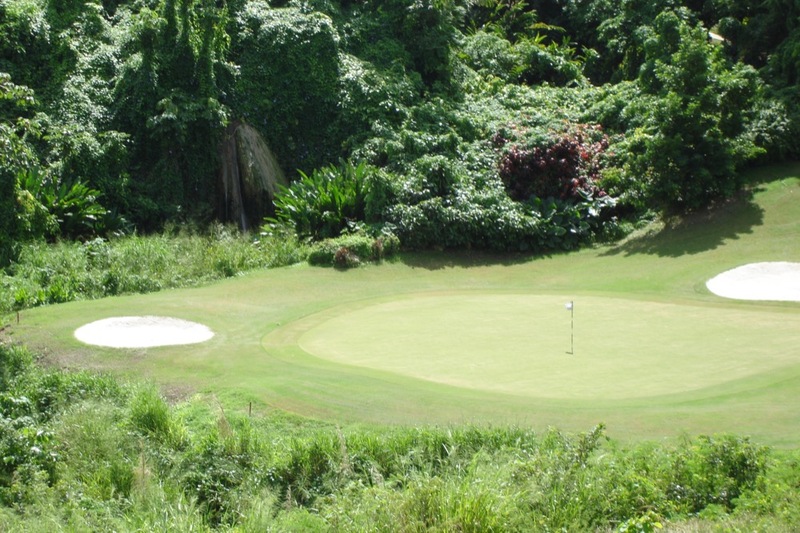 The back nine at Cinnamon Hill Golf Course is in Jamaica’s “back country” and at times you could be smack in the middle of the island nation. 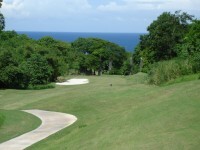 The course winds past the Cinnamon Hill Great House, better known as “Johnny Cash’s” Jamaican hideaway! 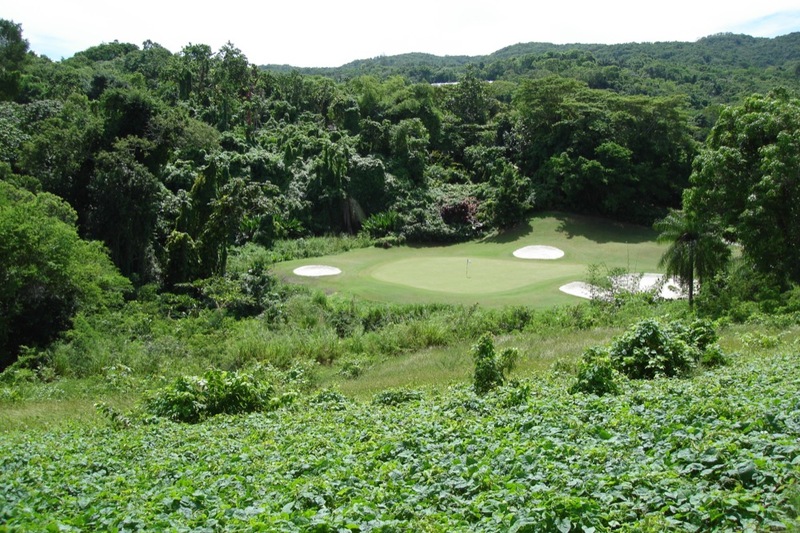 Behind the par-3 15th green at Cinnamon Hill Golf Course is a waterfall that may look familiar to James Bond fans; here Roger Moore and “Solitaire” (Jane Seymour) filmed a scene in “Live and Let Die”. 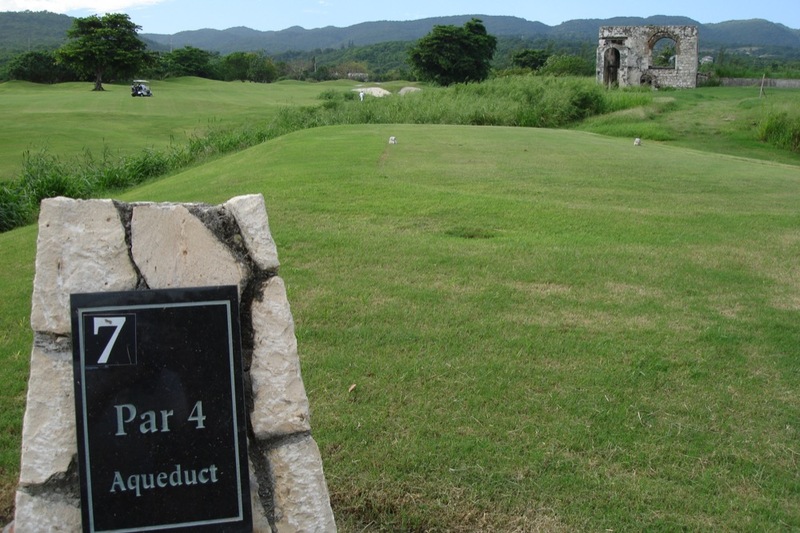 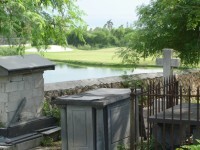 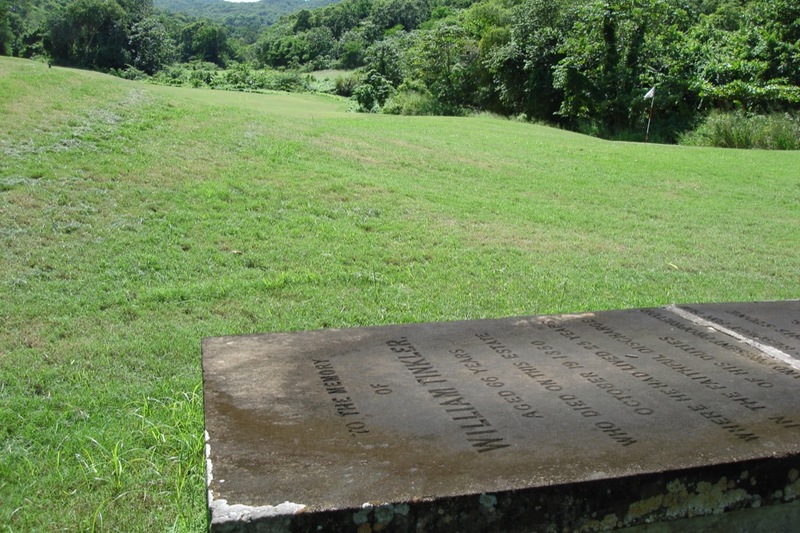 There’s even a tombstone above-ground and very much in play next to the 17th green at Cinnamon Hill Golf Course along with more aqueduct ruins. 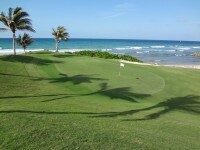 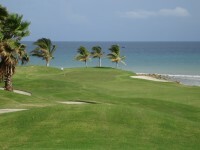 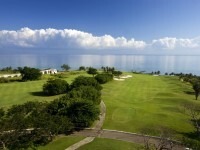 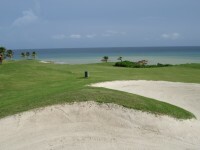 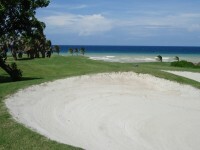 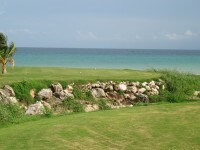 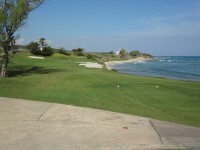 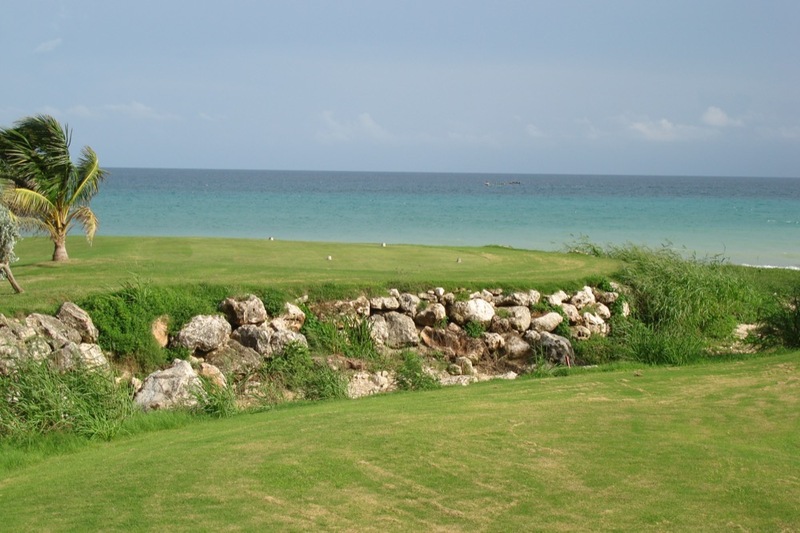 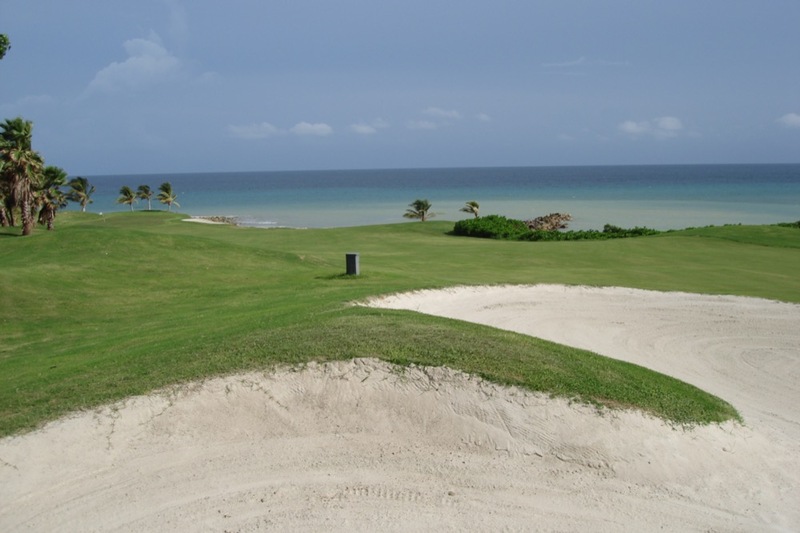 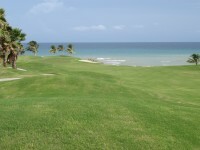 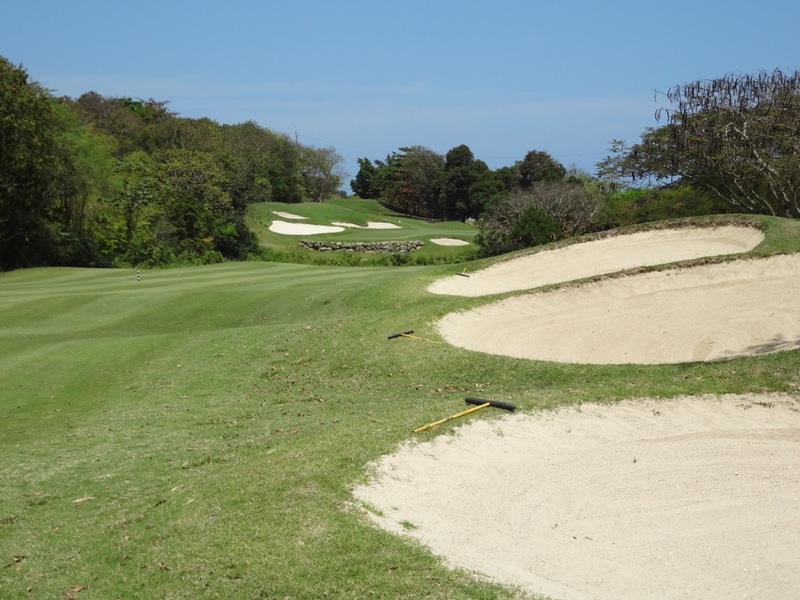 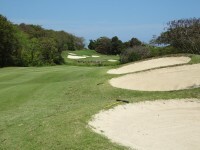 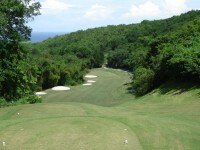 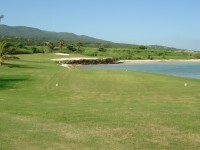 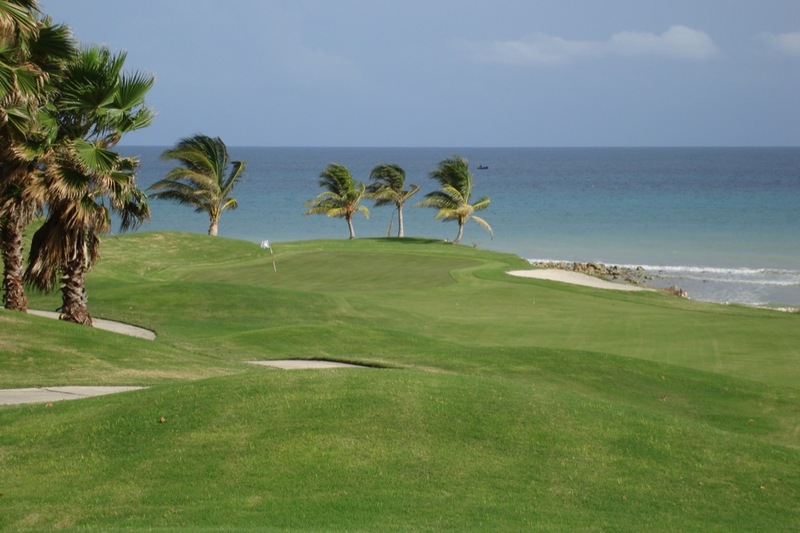 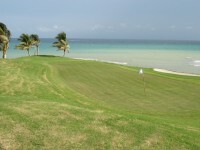 All the while you are playing hole after hole of superb Jamaican inland golf. 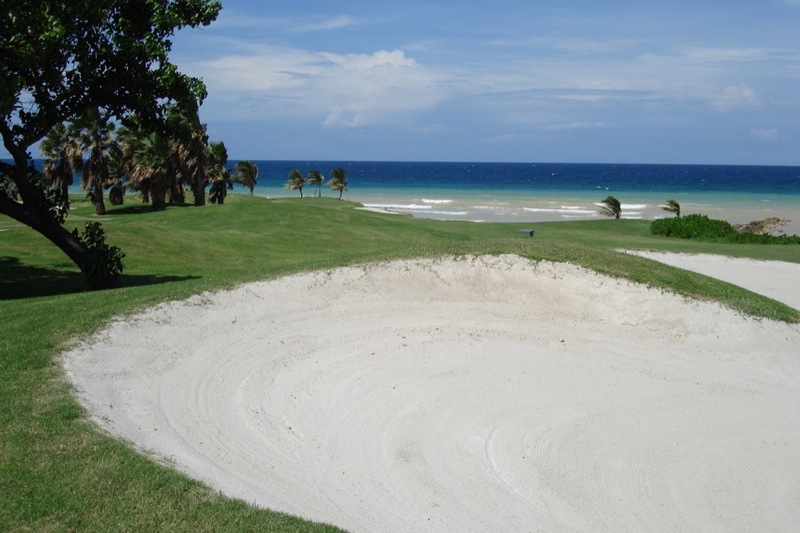 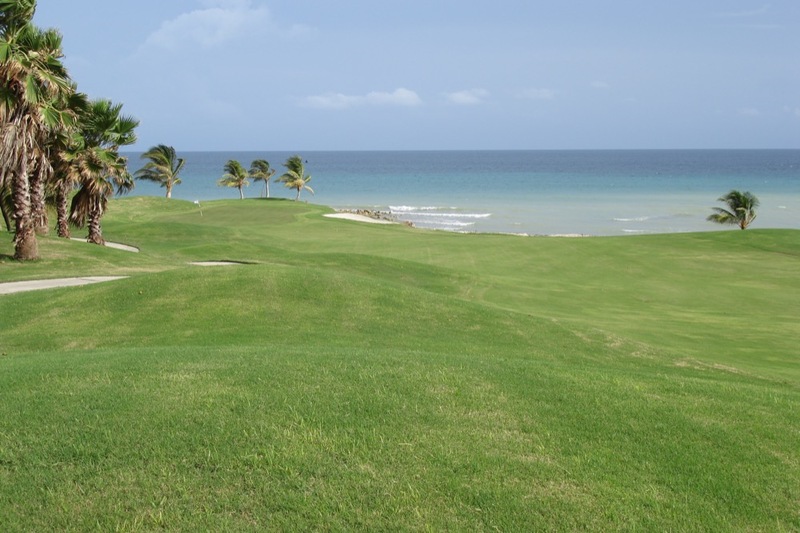 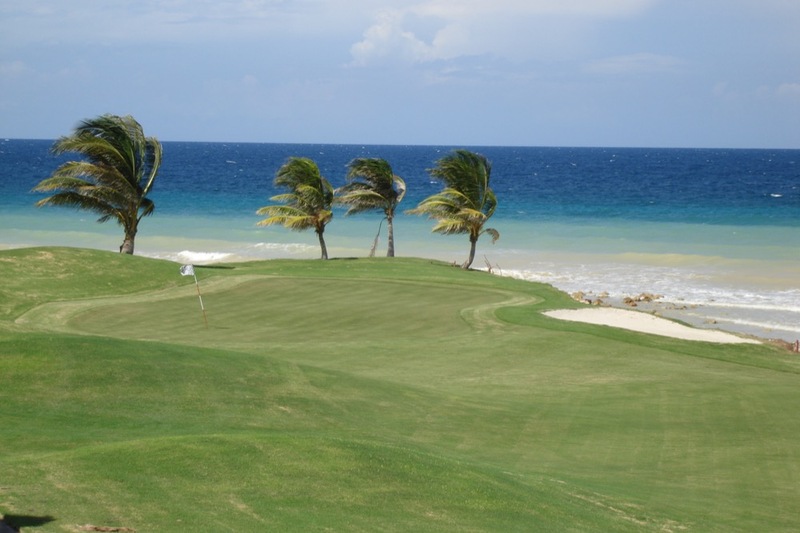 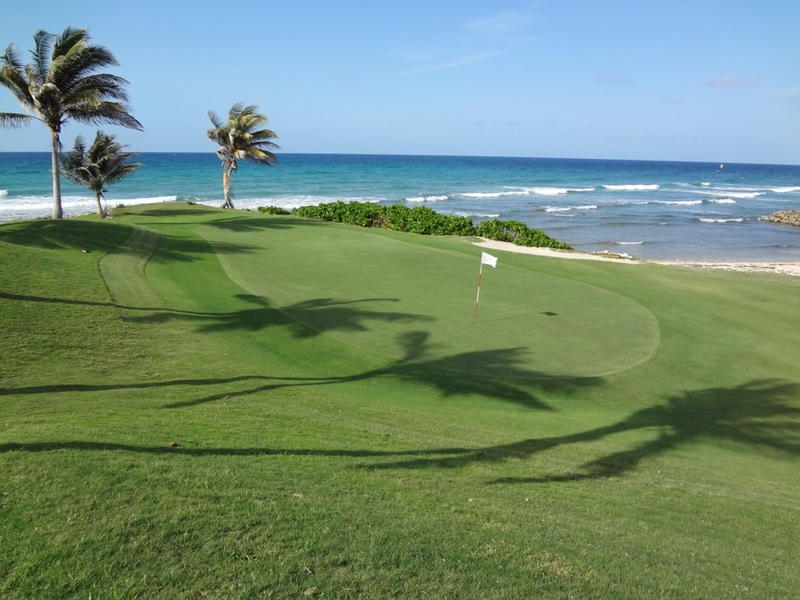 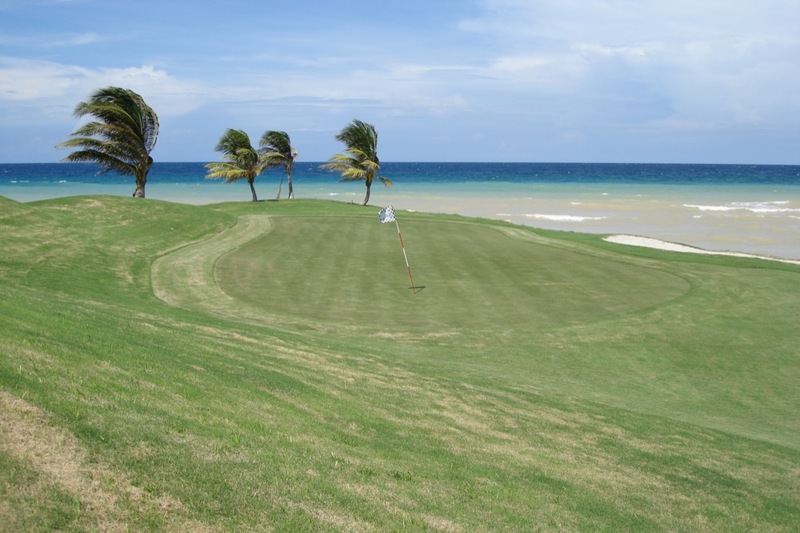 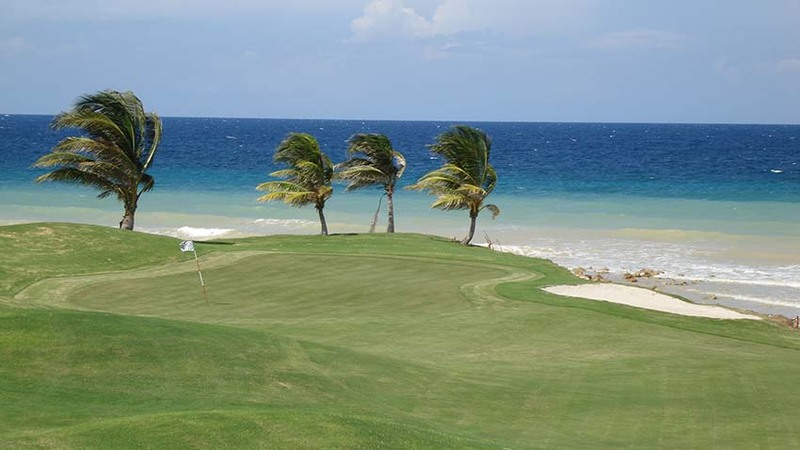 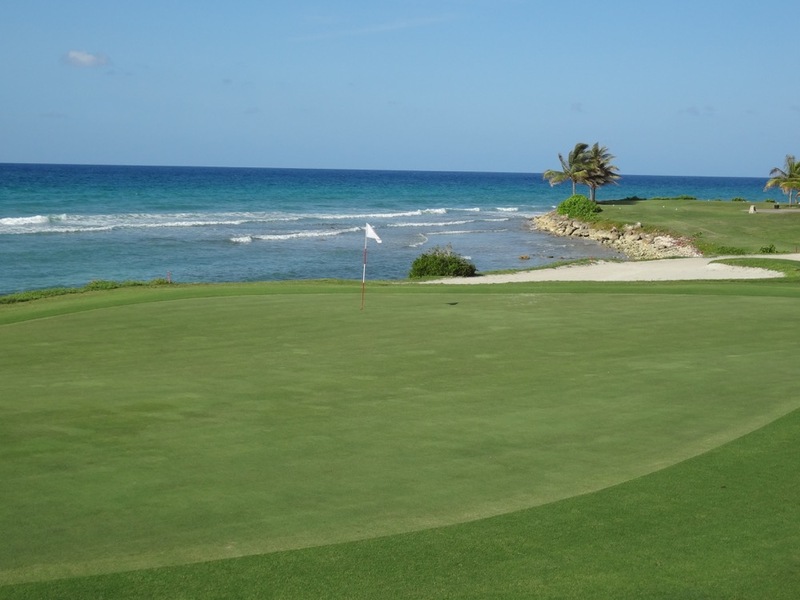 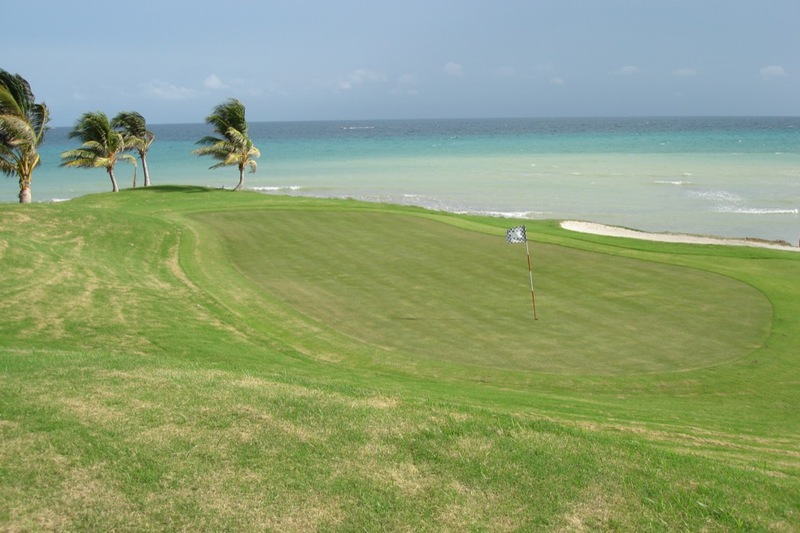 Your group will write a script of its own at Cinnamon Hill Golf Course Oh, the stories that are waiting to be told on your visit to this spirited golf destination in Jamaica!